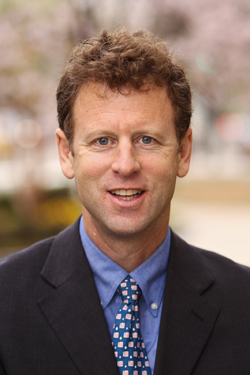 Michael O'Hanlon is a senior fellow in Foreign Policy at the Brookings Institution is The LeMieux Center for Public Policy speaker Wednesday, February 6. His talk, “Geo Politics in the Next Decade,” takes place at 7 p.m. in the DeSantis Family Chapel at 300 Okeechobee Blvd. on the Palm Beach Atlantic University campus. Register for this free event here. O'Hanlon specializes in U.S. defense strategy, the use of military force, and American national security policy. He is also director of research for the Foreign Policy program at Brookings. He is an adjunct professor at Columbia, Princeton, and Syracuse universities and University of Denver. He is also a member of the International Institute for Strategic Studies. O’Hanlon was a member of the external advisory board at the Central Intelligence Agency from 2011 to 2012. O’Hanlon’s latest book is “The Future of Land Warfare” (Brookings, 2015). Since then, O’Hanlon has written three Marshall Papers, the new signature monograph series from Brookings’s Foreign Policy program. They are, “Beyond NATO: A New Security Architecture for Eastern Europe” (2017), “The $650 Billion Bargain: The Case for Modest Growth in America’s Defense Budget,” (2016) and, with Jim Steinberg, “A Glass Half Full? : Rebalance, Reassurance, and Resolve in the U.S.-China Strategic Relationship” (also 2017). O'Hanlon is also the author of “Healing the Wounded Giant” (Brookings); and “Strategic Reassurance and Resolve: U.S.-China Relations in the 21st Century” (the latter with Jim Steinberg, published by Princeton University Press, 2014).